This edition of one of Mozart&apos;s greatest, most enduring choral works, despite its inexpensive price, has been published according to standards of high quality. 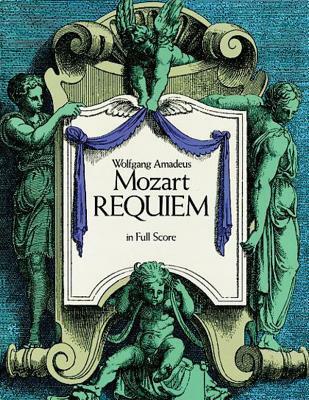 The Requiem was not only one of Mozart&apos;s most inspired works it was one of his last. The Requiem was not only one of Mozart&apos;s most inspired works, it was one of his last. It was commissioned in the summer of 1791 to memorialize the deceased wife of Count Walsegg-Stuppach, an amateur musician who was in the habit of ordering works from composers and presenting them as his own compositions. But his dubious patronage arrived only weeks before the rapid decline in Mozart&apos;s health that would end in the composer&apos;s death by the year&apos;s end. At the invitation of Mozart&apos;s widow, one of the master&apos;s pupils worked from oral instructions and sketches to finish the nearly completed work. In the centuries since, Mozart&apos;s Requiem has come to be embraced as a masterpiece of vocal composition. One of the most recorded and performed standards of the repertoire, here reprinted in an authoritative edition, it combines the voices of orchestra, chorus, and soloists into a deeply moving, elegiac work of great intensity.